I am certainly not the first to report that the original Sony a7 has a problem with it’s mount which is loosening over time but so far I haven’t seen an illustration of how this problem can affect image quality. My Sony a7 arrived on Nov 20. 2013 so it is very close to two years old now. Until now I had noticed that the mount had gotten a little more play over time but it wasn’t a real problem to me. But now a point is reached were it has become a real issue for me. If I mount a lens like my FE 4/16-35 and pit the camera on a tripod I can see a gap between lens-mount and camera-mount! 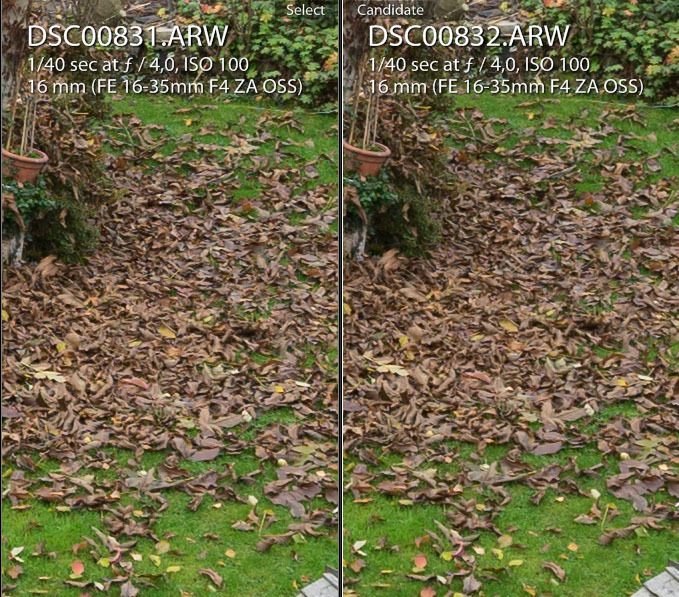 And the lens also has some rotational play. Does the problem affect image quality? I took the left one with my tripod mounted a7 without any support. For the right image I put some pressure on the lens so that there is no longer any gap. Fotodiox was the first manufacturer to release an all metal-replacement “Tough” E-mount but that caused other problems. Because the machining wasn’t isn’t precise and they are thicker than the original mount they caused images blur and problems with many adapters which could no longer be mounted. So not really a solution. Since then Fotodiox has introduced a “Signature Edition” (Afilliate Link) which seems to bet better machined. This could be a solution for my problem but I can’t really accept that I should pay that much money to fix a design flaw of my camera. So I will contact my national repair center and ask them to fix the problem by replacing the part with the more solid mount of the Sony a7s. Mine has the same problem, it’s really apparent with the Samyang 135mm f/2, without changing the focus I can get oof shots by letting the lens sag. Frustrating, good luck with having them fix it past the warranty. Good luck Phillip!Another issue of loosening mount will be dust inside camera, I think. It’s interesting what repair center will answer to you. Don’t know abous a7s, but my a7-2 and newer models like a7r2 and etc., all have metallic mount (so if repair center answer negative to you, not only a7s replacement part you can look for, and Fotodiox is somewhat pricey for a piece of metal). I read about plastic elements in older model mounts and i haven’t any practical reasons, why Sony did this. All camera manufacturers allways made metal mounts. Some cheap lenses may have plastic bayonets, but they are lightweight so this, in most cases, have no issue. For now there’s one cheap alternative, but I don’t know about it’s quality. Less than a half Fotodiox price. Maybe it will be useful for you. ich hatte selbst eine A7 die leider von Anfang an Probleme hatte. Ich habe sie ca 8 Monate benutzt und immer wieder zum deutschen Reparatur Partner von Sony (Herbert Geissler) schicken müssen. Auch nach dem dritten Einsenden und angeblich keinerlei gefundenen Fehlern (es wurde immer nur eine Reinigung durchgeführt) war keine Besserung zu sehen. Nach gefühlten dreißig Telefonaten von Sony Support bis zur Geschäftsführung von Herbert Geissler habe ich mich dazu entschieden die Kamera an den Händler zurückzugeben. Ich bin jetzt mit einer Fuji X-T1 sehr glücklich und hatte auch dort schon Kontakt mit dem Support. Eine ganz andere Welt. Es hat einfach alles funktioniert. Auch wenn Sony wirklich tolle Kameras baut, der Kundensupport in Deutschland ist einfach unter aller Sau. Aus Support Sicht: Nie wieder Sony! Ich hoffe du hast da mehr Glück. Ich drücke die Daumen. mir geht’s da wie dir. Ich habe Bauchschmerzen dabei, viel Geld für ein Problem auszugeben, das gar nicht existieren dürfte. Leider ist das kein Geschäft, bei dem das Leben von Menschen auf dem Spiel steht, ansonsten hätte es schon lange einen Rückruf gegeben. Mit den schwereren Objektiven ohne Stativschelle ist es schwer bis unmöglich, vier scharfe Bildecken zu erhalten. Die Dauerfestigkeit wage ich auch anzuzweifeln, wie man an deinem Beispiel ja schön sieht. Ich bin auf den Ausgang in diesem Fall sehr gespannt und würde mich ggf. dranhängen, wenn du irgendwie einen Sammelbrief oder so etwas starten willst. Gibt es schon Neuigkeiten? Ich hätte eigentlich auch gerne einen festeren Sitz für meine Objektive an der a7 und jetzt überlege ich, ob ich diesen Bajonettring austausche oder auch einschicke. That is BAD, VERY BAD! My main complaint has been with the rotational play, I haven’t seen this degree of looseness! I’m looking forward to hearing Sony’s repair centre reply… though I doubt they’ll give an explanation. Wear on the front, aluminium, part of mount to that degree, seems unlikely, and the plastic “spacer” behing/under it, is a hard plastic which doesn’t seem likely to be “compressed, which leaves the spring “plate” at the rear. Could the sprung “arms” of the plate be weakening?The problem with that theory is that this spring plate is retained with all the replacement options, Fotodiox (USA), Shoten (Japan) and the Chinese options on eBay. As a user of both the Fotodiox “Signature” and the Shoten, the mount does become tight again, even though using the original spring plate. This leads me to wonder if the spring plate’s sprung “arms” are wearing into the plastic spacer each time a lens is changed? I can’t think of anything else that fits the facts, especially as on both the mounts I’ve opened, the spring plate had a build up of black plastic from the spacer, just where the two move over each other when changing lenses. Hi Phillip, ich habe über den Sony Service direkt den A7S MEtall-Mount bestellt. Das war mit knapp 30 EUR deutlich günstiger als die Fotodiox und Co. Teile und passt garantiert. Damit wird das äußere Metallblech und das innere Plastikteil der A7 ersetzt. War super einfach! Wirklich? Ich hab es noch hier. Hab aber tatsächlich nur das Teil bestellt und den Einbau selbst gemacht. ich rate dir dringend: Wende dich nicht an Geissler sondern den Sony Service Österreich, Fa. Schuhmann, Linz. Die Jungs sind um Lichtjahre verständiger und helfen dir bestimmt mit deinen Fragen weiter. Da habe ich noch NIE schlechte Erfahrungen gemacht. Die Kamera sollte heute in Linz eintreffen. Hatte Geissler und Schuhmann angeschrieben wegen dem Problem und Schuhmanns Antwort war sehr viel überzeugender. Doof nur, dass mich das 26€ kostet aber die wars mir wert. Versende mal deine Kamera bei der deutschen post mit einer entsprechenden Versicherung. Das ist leider auch nicht viel günstiger. Glaub mir, waren gut investierte 26 €. Mich würde interessieren, was dabei rausgekommen ist. 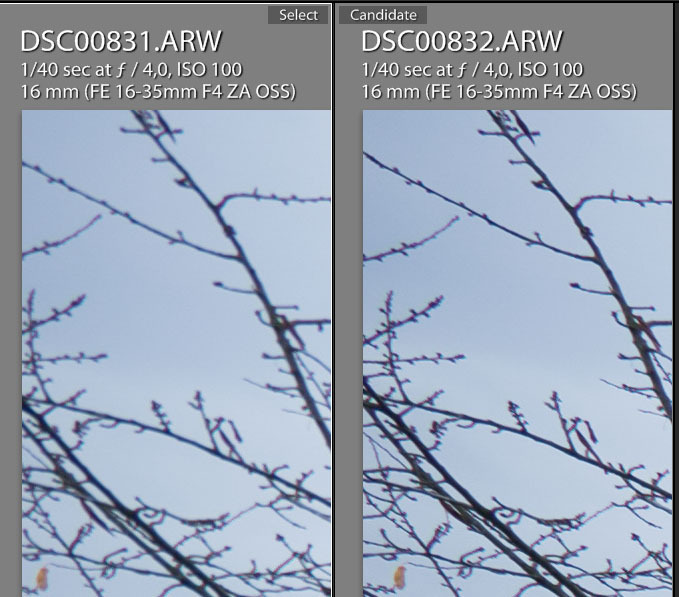 is this a known problem with the A7II as well? I was thinking on getting one. 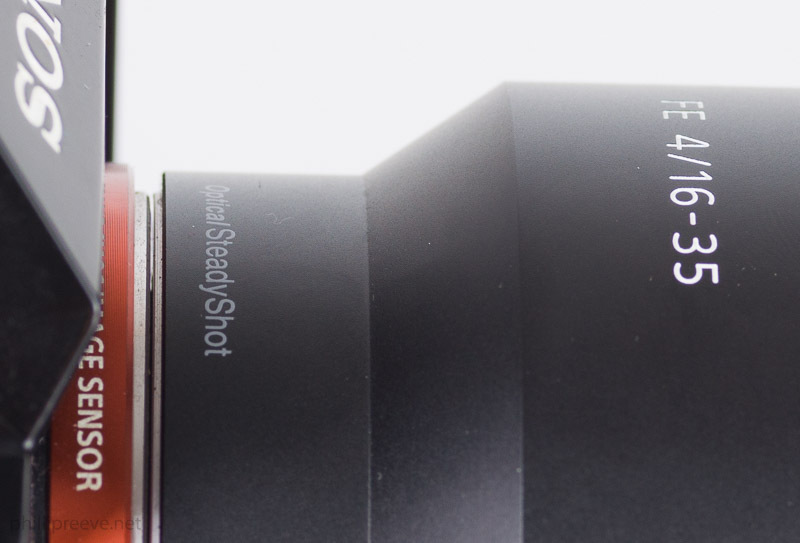 Sony A7’s mount was beginning from the beginning. I got usede to with time. and camera to my repairman. He analyzed the damaged and claimed the a loose bajonett as critical finding. So: A7’s mount is loosening with time, too and maintenance can be necassary. My A7 is 2 years old. Seems to me this problem is big enough to justify going to A7ii together with other things like lens stabilisation … Hope this will not also be a problem with A6000 as I have 2 heavy manual lenses (200mm f2.8: 700g and 500mm f8 RF: 635g). I see your latest Flickr images are shot with an A7II. Did you try pursuing a fix with Sony? Given this design defect, did they give you any discount toward the purchase of an A7II? My a7 is still at the repair center and i bought a returned a7II for a very good price from Amazon.de. I don’t plan to keep it. It is a nice camera but advantages over the a7 don’t justify the much higher price for me. May I know what was the final resolution in the repair of your A7 mount? And the cost? Thank you very much for all the work you dedicate to sharing your experiences. I sent it under warranty to Sony’s repair shop in Austria (much better than the one in Germany) and they fixed it. I didn’t use it a lot after that though since I bought the a7ii not much later. So I don’t know how long their fix would last. Hi, I was wondering what happened when you returned the camera to Sony? I’m thinking of buying one as they’re significantly less than the A7ii but I am a bit concerned. I have an adaptall 24mm 2.5, fd 35 3.5, fd 50 1.4 and adaptall 90mm sp macro 2.5, all of which I use (on film). The macro is particularly heavy, probably comparable to the tokina and similar. I also have the x2 optical extender for it to get it to 180mm f5.6 which I do very occasionally use, although this will further unbalance the lens mount. Should I save my money up and go for an a7ii? Or have Sony addressed the issue? Sony’s contractor in Germany, a company called Geissler has returned several cameras with a similar issue unrepaired because “they were in spec”. So I sent my camera to Sony’s contractor in Austria which is also covered by Sony’s warranbty which cost me 26€ in shipping but they repaired the camera very well. Thanks. That’s sort of reassuring and sort of concerning! I’m torn between an a7 for my old manual lenses and an xt1 for a new system altogether – I preferred the xt1 and definitely much preferred the lenses, but the a7 handled great and would let me use my old kit on digital. It’s a nice dilemma to mull over, mind. Danke fürs Info! I have another question about service center. Can they also clean the sensor? My camera still has warranty. 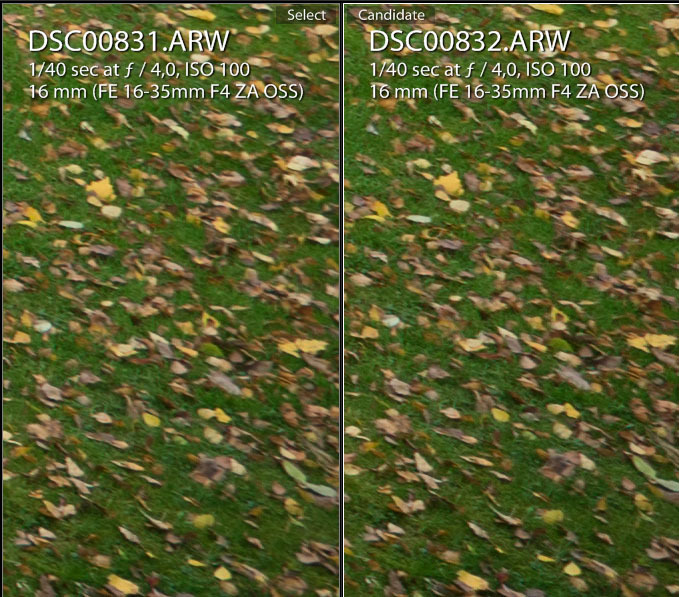 Or do you have maybe a couple tipps to clean sony A7’s sensor? I recently had an issue with the LCD-Display of my almost two years old A7. It has got tenacious stains on the surface that couldn’t get removed by cleaning. So I went to Geissler, the Sony service point – it is only 10 km from my home – and showed it. They told me this issue is covered by the two year warranty and changed the display. It seems to be a problem of the surface coating. I asked them how much I have to pay for cleaning the sensor. But they told me that no camera will leave their service point without cleaning the sensor. It was for free. Ich habe kürzlich eine gebrauchte a7 gekauft musste leider auch feststellen das Sie von dem Problem mit dem Mount betroffen ist. Das Objektiv lässt sich leicht nach links und rechts drehen ein Spalt wie bei dir ist allerdings noch nicht zu erkennen. Jetzt stellt sich mir die Frage ob ich die Kamera wieder verkaufen sollte würde für mich keinerlei Verluste bedeuten. Lohnt es sich deiner Meinung nach noch in einen neuen Mount von Fotodiox zu investieren? Schwierige Entscheidung. Jannik hatte zum Beispiel Probleme mit dem Fotodiox Bajonett und einem 8mm Fisheye sowie dem Zeiss Loxia 2.8/21 die dann nicht mehr auf unendlich fokussierten. Ich bin mit meiner Lösung (es zu Schuhmann nach Lienz zu schicken) bisher ganz zufrieden aber es ist möglich, dass die es nicht dauerhaft behoben haben. I get the same problem than you. So i have contacted Sony assistance. I have read comments here and on fredmiranda. Did you get any feedback from Sony Assistance? Thanks in advance for your answer? The service center in Germany often returns cameras with a loose mount as in spec but the one in Austria is much more helpful and they fixed the issue for me and now lenses sit firm in it but since I have bought a a7ii since it hasn’t seen much use and I don’t know if the problem is fixed forever. I have read positive and negative reports on the fotodiox mount.